Play: Discard the top card of your opponent’s deck and reveal their hand. 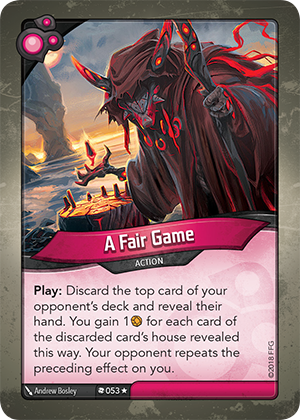 You gain 1 for each card of the discarded card’s house revealed this way. Your opponent repeats the preceding effect on you.